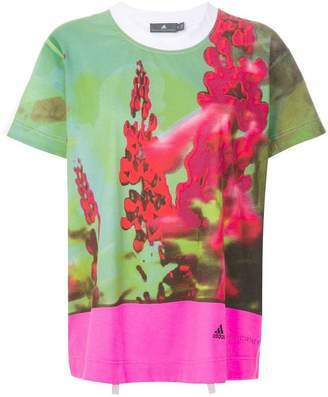 Adidas by Stella McCartney features animal influences in its collection with pieces like this leopard print T-shirt. The designer revisits one of her signature models to transform its perforated base into a clever pocket. 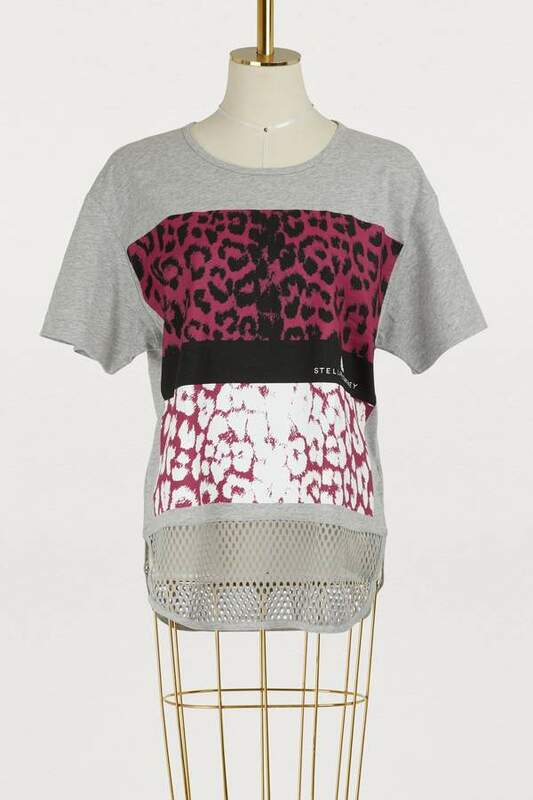 She also emphasizes trendiness by revamping the top with a multicolored leopard print. 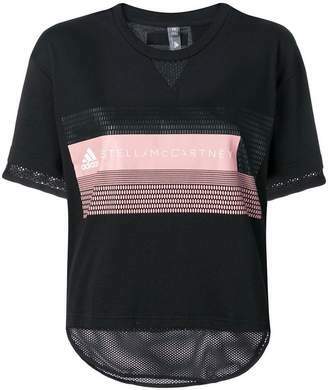 Pair this T-shirt with simple leggings and flashy sneakers.